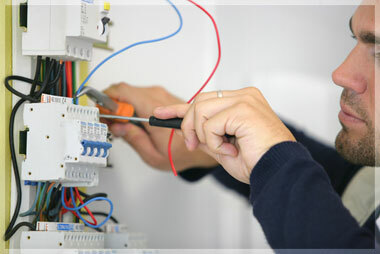 Cornerways Electrical are a small and friendly team working in the North Devon area. We invest in ongoing training for the team and have also run our own in-house training courses which have incorporated other electrical contractors. We always like to be up to date with our knowledge and qualifications, and aim to help our employees build valuable skills. At Cornerways we want to help young people develop their skills and enhance their careers, so we work alongside JTL to provide apprentice training. JTL are a training provider offering advanced modern apprenticeships in Electrical Installation. Cornerways Electrical are members of the NICEIC (National Inspection Council for Electrical Installation & Contracting) Domestic Installer Scheme. This means that we are inspected annually to make sure that we are undertaking our work correctly. We issue Electrical Installation Certificates for all the work we undertake and are totally accountable for our work. All of Cornerways' electrical installation work is carried out to current BS 7671 IET Wiring Regulations, 2008 (Amendment No.3, 2015) and part P of the Building Regulations, (Amendment No. 3). Where necessary, our work is notified to Local Authority Building Control. All of our notified work carries a free six year, insurance backed warranty on workmanship, brokered by NICEIC Insurance Services. We are happy to give visual inspections of electrical installations as well as detailed Electrical Installation Condition Reports. As well as our technical expertise, we adhere to a high standard of conduct to ensure that our customers get the very best in customer service from our friendly, uniformed staff. To find out more about Cornerways Electrical or for a free quotation for your project, contact us today.